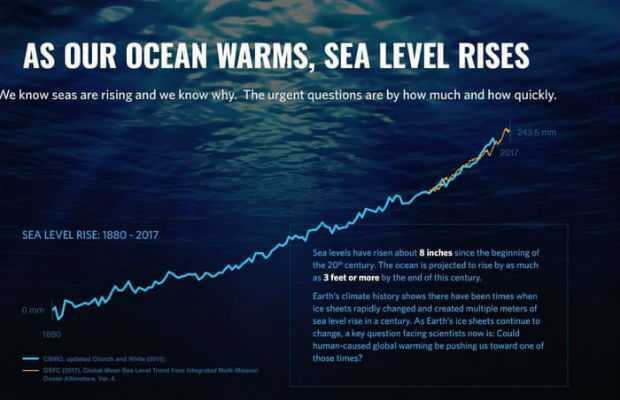 According to a new ground breaking study, the global average sea level could rise up to eight feet by the year 2100 and up to fifty feet by 2300. The study suggests if we can’t control the uprising greenhouse gas emissions, it will pose a major risk to coastal ecosystems around the globe. The researchers at Rutgers University in the US stated that the global average sea-level has risen by about 0.2 feet since the beginning of the 21st century. 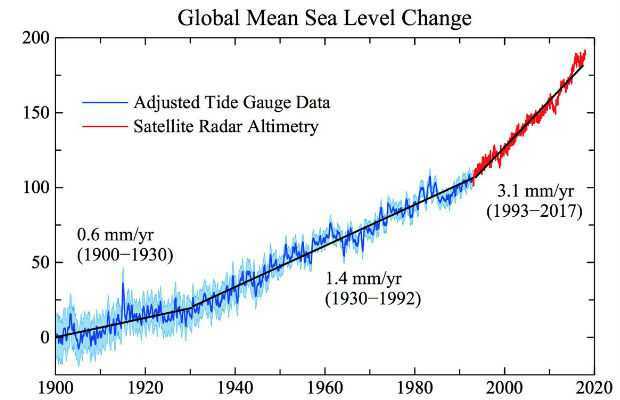 As per the newly published study in the journal Annual Review of Environment and Resources, the global average sea level could rise in the range of 1.4 to 2.8 feet by 2100, 2.8 to 5.4 feet by 2150, and 6 to 14 feet by the year 2300 under moderate greenhouse gas emissions. Around 11% of the world’s current population of 7.6 billion lives 33 feet above sea level. And, the rising level now poses a serious risk to the coastal populations, ecosystems, and infrastructure. The new research estimated that the global average sea-level will most likely to rise about 6 to 10 inches till 2050, but is unlikely to rise by 18 inches and above. The projections become more sensitive beyond 2050 in respect to greenhouse gas emissions. Professor of Rutgers University, Robert E Kopp, said “There’s much that’s known about past and future sea-level change, and much that is uncertain. But uncertainty isn’t a reason to ignore the challenge,” and added, “Carefully characterising what is known and what is uncertain is crucial to managing the risks sea-level rise poses to coasts around the world.” Researchers now clearly state that the sea-level rise in the 20th century is absolutely due to the human-caused global warming.